It is April in New Mexico, and we have had a dry year, a windy spring so far, and very little rain to accompany it. Unfortunately for me, that means allergies and excruciatingly dry skin. 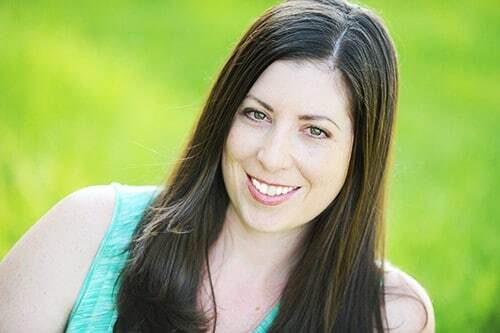 While I am constantly looking for a good facial scrub for dry skin, I am running large humidifiers in my house all day, and washing my face using the Oil Cleansing Method has helped quite a bit, but my skin is still DRY. I have made a ton of homemade facial scrub recipes over the past few years, but I wanted to create a facial scrub for dry skin, specifically. I grabbed a few of my favorite, deep moisturizing pantry ingredients, and thought you guys might want to see what I came up with. I figure there may be others out there with unkindly dry weather that may be suffering along with me. In a food processor, pulse oats until they are broken down a bit, but not yet powdered. The oats are going to gently exfoliate the skin, removing dead and dry skin. Transfer oats to a small and clean bowl, and add in honey and olive oil. Mix together with a spoon or fork. Clean skin thoroughly. Add a thick layer of the facial scrub, and gently massage into face for 60 seconds. Leave on skin for an extra 5 – 10 minutes, for extra moisture, then rinse with cold water. Pat skin dry, removing any remaining scrub. Apply another layer of olive oil or coconut oil as a moisturizer, if necessary. In a food processor, pulse oats until they are broken down a bit, but not yet powdered. 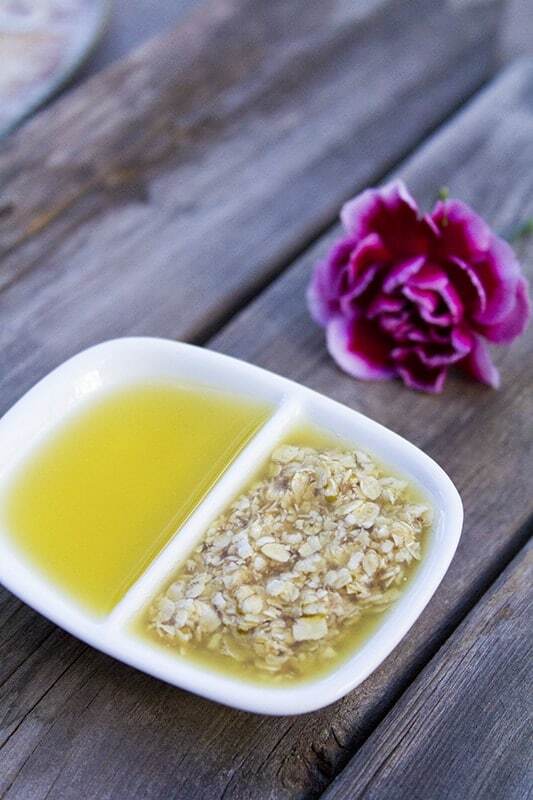 Transfer oats to a small and clean bowl, and add in honey and olive oil. Mix together with a spoon or fork. Add a thick layer of the facial scrub, and gently massage into face for 60 seconds. Leave on skin for an extra 5 – 10 minutes, for extra moisture, then rinse with cold water. Pat skin dry, removing any remaining scrub. 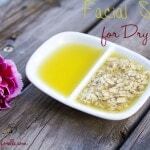 Here are some other facial scrub recipes, if you have oily, combination, or dry skin… there is something for everyone! 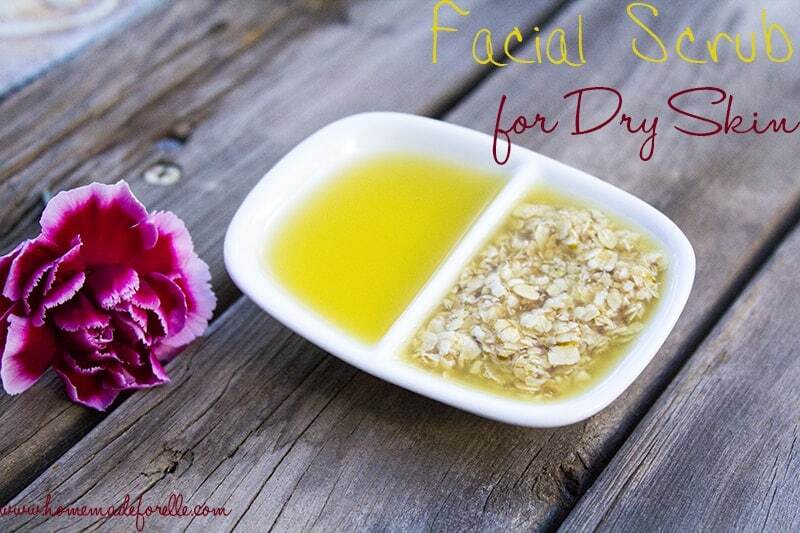 Do you make your own facial scrub for dry skin? Are there any favorite combinations you want to share? WOW!!! This works wonders, with a bit of modifications. My skin is super sensitive even to olive oil, so removed it . First: added a bit of boiling water in a small cup, full of oats and leaft it for 30 minutes (didn’t cook z oats). Second: extracted z oats water after mixing it again. Third: took a hand full of raw, white organic honey and applied it by mixing it with z oats liquid. Left it for 15 min then rinsed it with luke warm water and saw z diffrence by applying it for 3 consecutive days, even my acne was gone. Really Thanks! – don’t mix z oats water with honey, honey brings alcholic behaviour after few days if mixed with liquids. -Better if not refrigerated. The oats water can survive without being refrigerated for a week. -Be careful of eyebrows & eyelash areas, honey has lightening effect. – immediately apply your moisturizer after rinsing, mine is the non-herbal “Vasline”. – remove facial expression not to have wrinkles. can one add preservatives to keep for a longer period? Love this recipe! How long can it last in the fridge? Hi Lauren – I keep this in the fridge for about 2 weeks, then make a new batch. Can anyone recommend a smooth and gentle face scrub direct from the market? I use a scrub made by this company called ASUTRA. They use fine grain salt so its very gentle. It’s meant for the body but its so gentle that I use it for my face also and its wonderful. I think you can get it on Amazon also. The one I got was called cooling cucumber and its heavenly!! 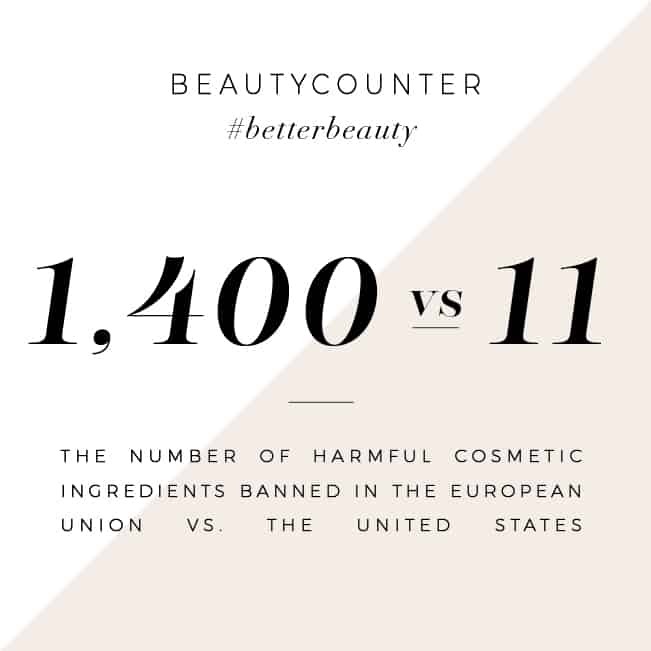 Wonderful ideas to stay healthy, moisturized and toxic free! Thank you! Thanks for the tips Esther! I know ingredients work differently on every person, so that is good to know you have had success with those substitutions. Great scrub recipe! I love how it does double duty as a mask as well.